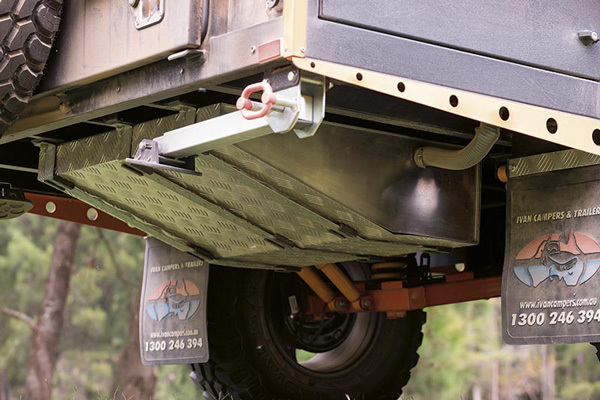 The Dakar from Ivan Campers is a model on a mission. 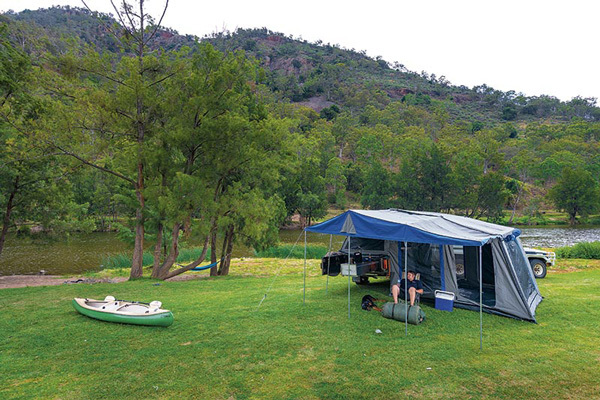 It’s designed to be a comfortable and capable camper trailer for the whole family. 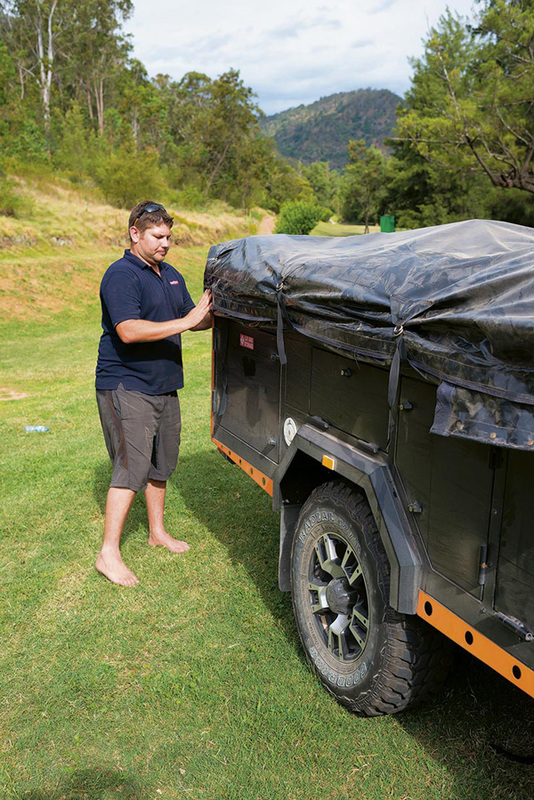 It basically takes a few key features, functions and ideas from the more expensive campers out there, and offers them to us for a budget price of just $15,500. The question is: how does it stack up against the big boys? 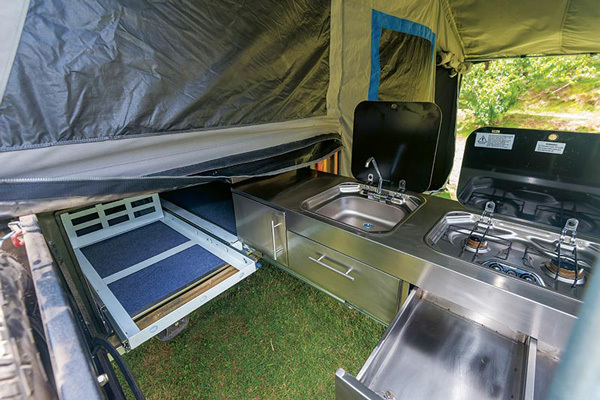 Can a camper in this price range really offer the same features without compromise? 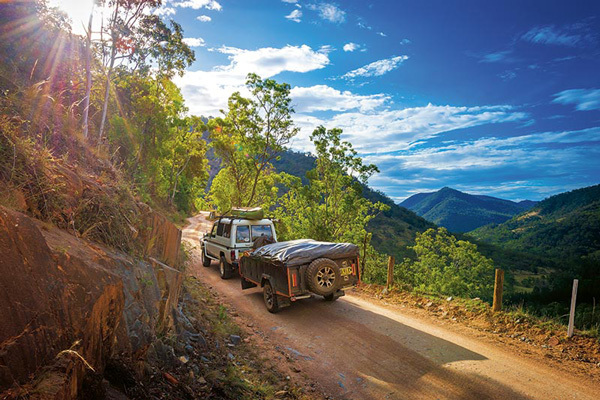 To find out, we took the Dakar for a blast down to the Southern Highlands in New South Wales, which is a beaut spot, might I add. At first glance, this camper looks like it belongs in a much higher price bracket than it actually is. It’s got a nice solid stance about it, and no shortage of ground clearance either. Plus, it ticks all the boxes when you look at its list of features. However, when I took a close look at the finished product, I could see a few bits and bobs that I thought could be improved upon to make this a genuinely competitive camper. 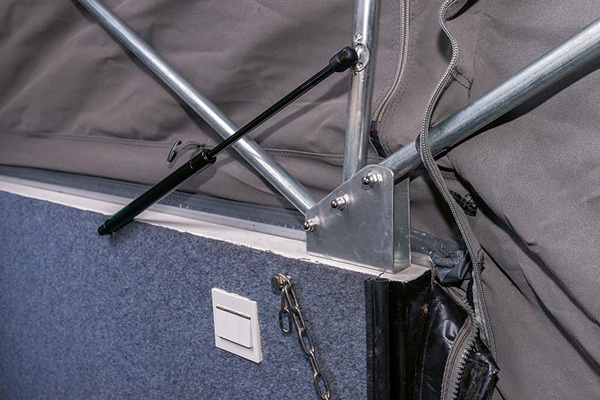 This includes things like the light-duty locking latches on the storage compartment doors, and the automotive-style dust seals which have a tendency to peel away from the camper. In saying that, anyone who is half handy could sort that out in a heartbeat and be satisfied with the overall product. 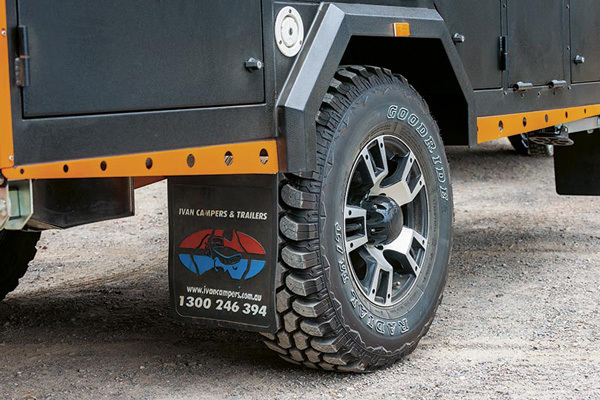 The rock slider/bash plates are a nice touch, and while the full length stoneguard up front is mounted a little close to the front toolbox, it gets the job done. 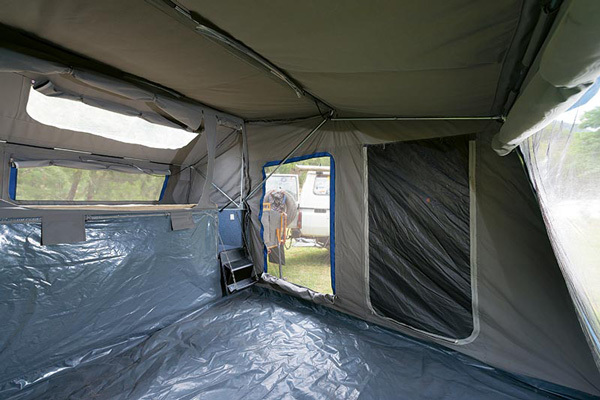 Once you step inside the main tent, you’ll find it’s quite a comfortable design. 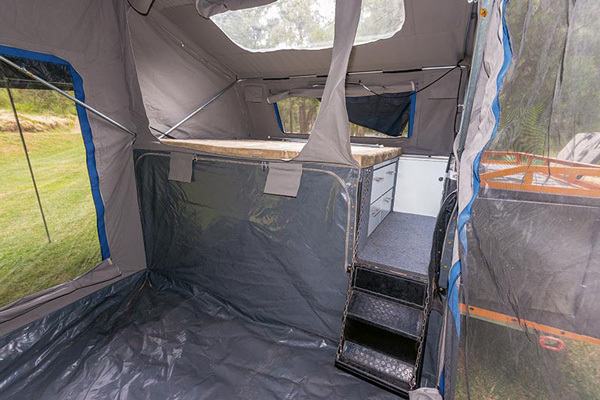 The tent’s a good size and is surprisingly easy to set up with two people, although setting up the main awning is a bit of a jigsaw puzzle until you work it out. There’s a large skylight over the bed which provides plenty of light during the day and a view of the stars at night. The walk-up area adds a whole new level in terms of creature comforts, too. 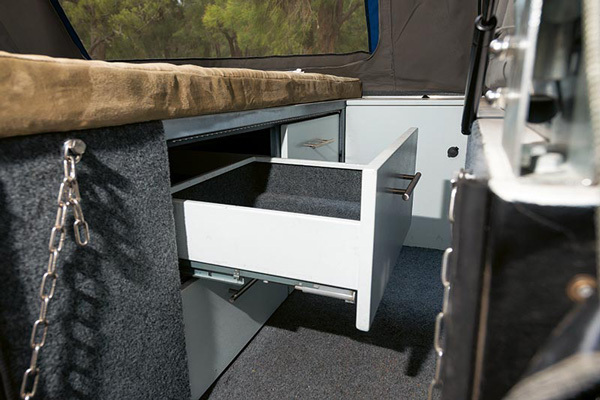 It makes getting in and out of the bed simple despite the bed’s overall height from the ground, and it also means you can enter and exit the bed from the bottom end instead of having to crawl all over your partner to get out the side. 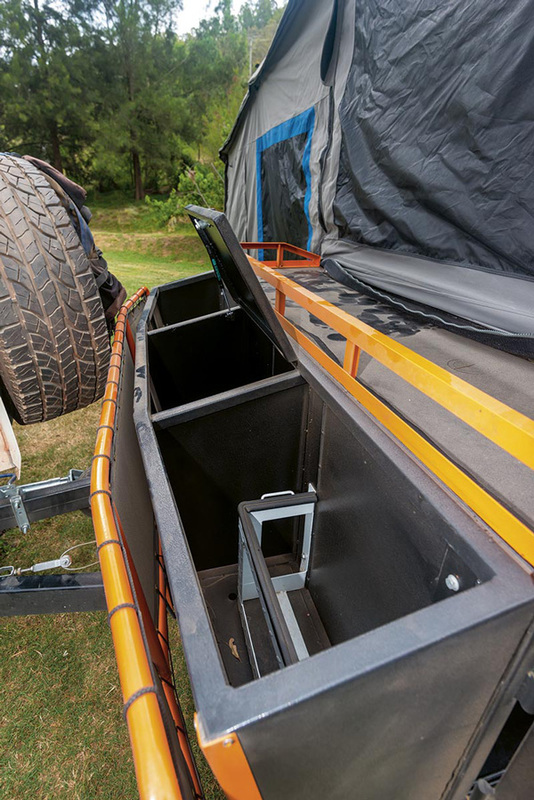 With the amount of features that Ivan Campers has jammed into this thing, this camper trailer really does stack up to the big boys on paper. But I’d be lying if I said it wasn’t in need of some small refinements. Take the kitchen for example; it’s got all the goodies. 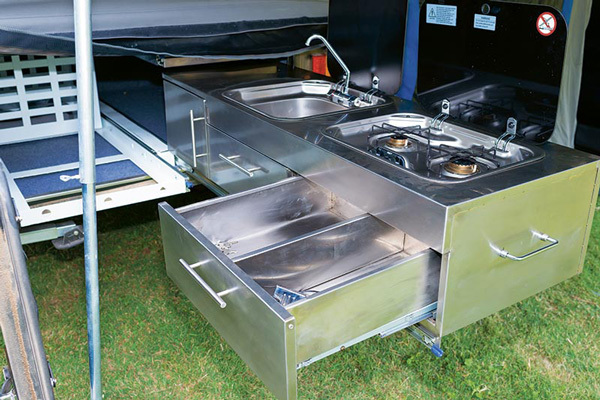 It’s a brushed slide-out, fully stainless steel unit, with a good quality Smev two-burner stove, a Smev built-in sink, and even a stainless steel pantry with dividers and an electric water pump plumbed up to the tap for added convenience. 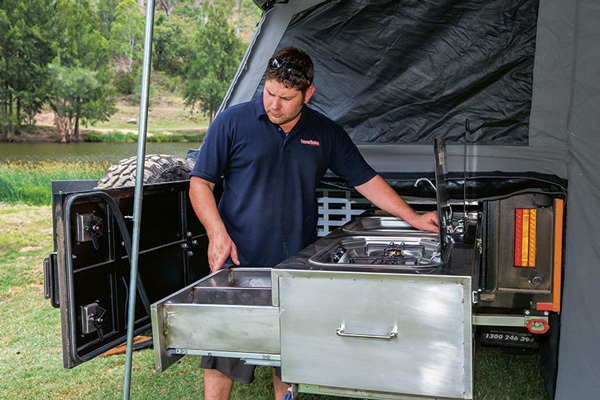 However, the internal auto-close drawers didn’t stay closed on the dirt track on the way to our camp, and there is limited working space between the tailgate and kitchen, which you’ll really notice when you go to access the fridge while cooking up a feed. Mounting the kitchen on the passenger side facing the other direction would solve this. Ivan offers a choice of several different fridges as an optional extra, along with a whole bunch of other upgrades such as a hot water unit. Electrically speaking, there are plenty of gizmos and gadgets. The 100Ah deep-cycle battery kicks things off nicely and there are provisions for a second battery. The electrical accessories all look fairly neat, but I thought the main battery cable could do with an upgrade. It’ll do the job in the short-term, but if you’re adding a few extra electrical upgrades down the track, I’d look at beefing it up to handle the increased load. There are a few LED strip lights supplied as standard; one in the main tent, another under the awning and one above the bed, all of which are wired to an easy to reach control panel. There are also a few LEDs lighting the way for the walk-up area to the bedroom. 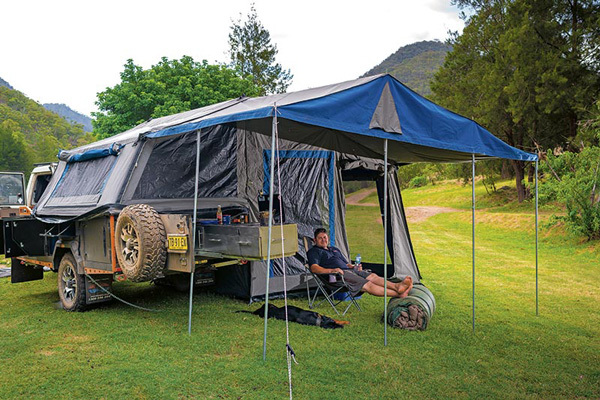 Well there you have it, the Ivan Campers Dakar in all its glory. 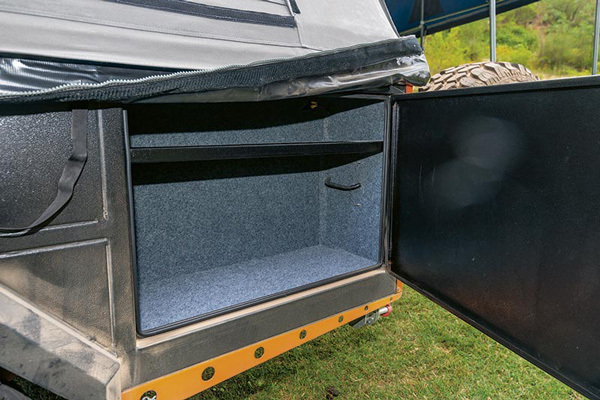 Pound for pound, this camper has enough gear to travel the outdoors in comfort for a decent period of time. 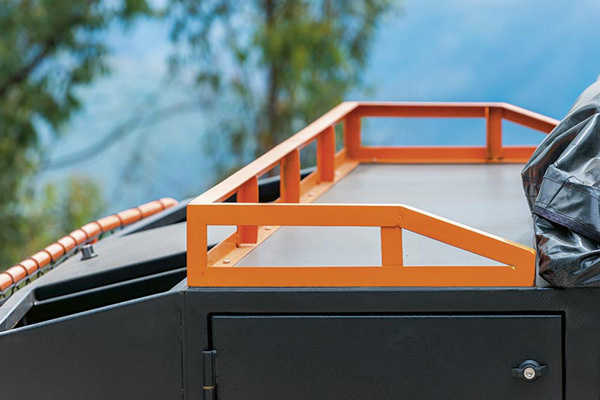 It has a solid base that seems structurally sound but, in my opinion, the fitout needs a few small improvements if you plan to tackle really rough tracks. That said, this is a camper that’s still evolving, and I am curious to see what Ivan Campers comes up with next and where the Dakar goes in the future. I’m also betting that if you’re willing to add a few of your own personal touches, it will be one of those campers that becomes part of the family and helps create a lifetime of adventurous memories.